The research discussed a case of a child diagnosed with cerebellar ataxia and spinal variants similar to Arnold Chiari malformation, whose problems completely resolved following upper cervical care. 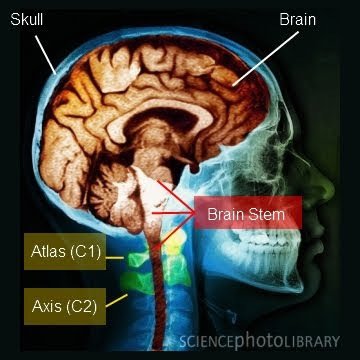 Cerebellar ataxia is a disorder that results in balance and coordination problems and Arnold Chiari malformation occurs when the back of the brain protrudes through the hole in the bottom of the skull. Researchers studying the connection between upper cervical care, brain stem compression and neurological disorders believe that these types of functional disorders can be caused by even slight misalignments of the bones in the upper part of the neck. “There are very important functional relationships between the upper cervical spine and the brain that if disturbed can result in a host of problems with how the brain functions,” remarked Dr. Matthew McCoy, a chiropractor, public health researcher and editor of the journal that published the study. The child reported on in the study not only had interference but also had protrusion of the back of the brain into the spinal canal causing even more compression. As a result she suffered from balance and coordination problems, could no longer attend school or perform her normal daily activities and experienced improvement after just a few upper cervical care visits. The author of the study called for more research on the role of upper cervical care in patients with these types of disorders. Thanks for this information, it is very helpful especially for those patients with lumbar problems such as scoliosis that is a curvature of the lumbar spine. Please consider visiting our site, http://www.backaline.com/, we have some products such as lumbar back support belts that can be most helpful for jobs that require lifting and straining that can trigger pain as well as for patients with spinal problems that can also impede movement. Thanks!